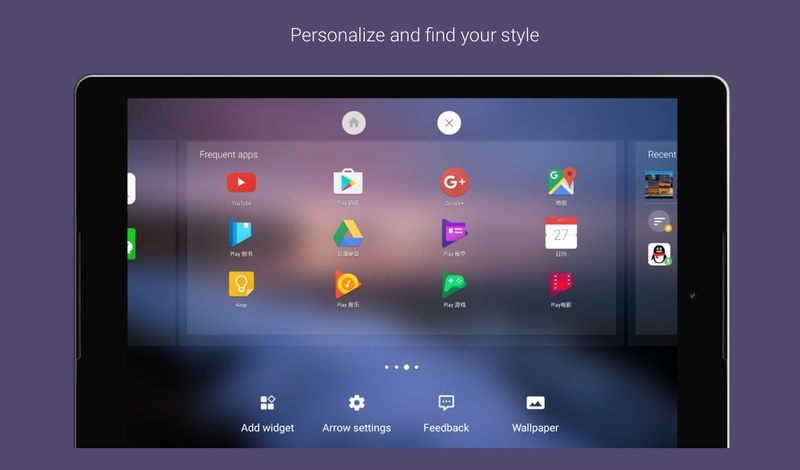 The Arrow launcher which is an original product of Microsoft Garage has been in the Android space for a long time but it was one made-for-phones-only app that you wanted badly on tablets too. Today, that happens, as Arrow Launcher, albeit beta, is finally getting it’s visa for Tablets. The version 3.1 update also brings with it the option to arrange Apps in the Horizontal layout and the ability to hide headers too. Even though Bing isn’t the “most popular” search engine, you can’t deny the fact that Bing images are so beautiful. With the latest update you can now save your launcher settings with its improved Backup and Restore option, letting you uninstall the app and come back to your saved settings any time you want. You can also tinker with a few more options like choosing the card color and even show or hide the card. Some of you who’re attached to the Carousel scrolling, found on other popular launchers, can breathe a sigh of relief as the latest beta update now brings Carousel mode. In a nutshell, the Arrow Launcher is unique with no hints of Windows anywhere. So give it a go if you’re feeling that your smartphone or tablet is lacking a bit of identity.